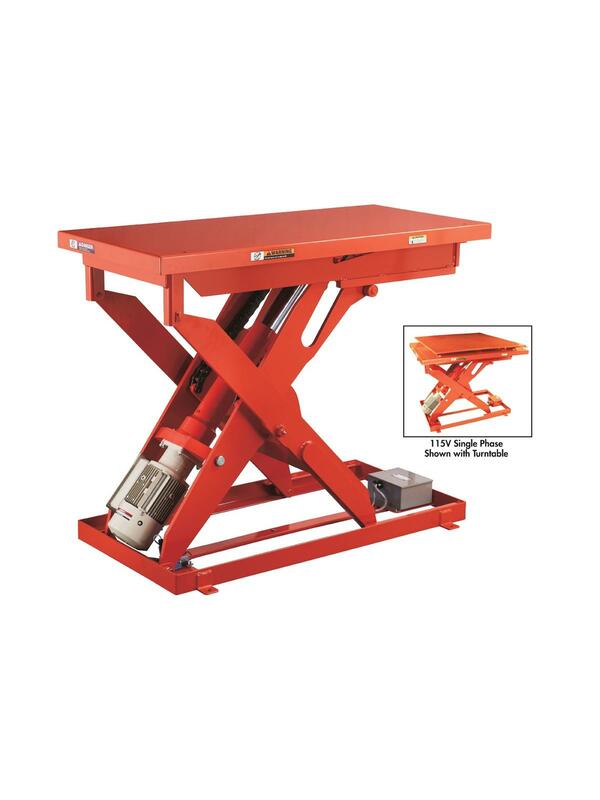 This series of lift tables are heavy-duty and could be used up to 100,000 cycles continuously. 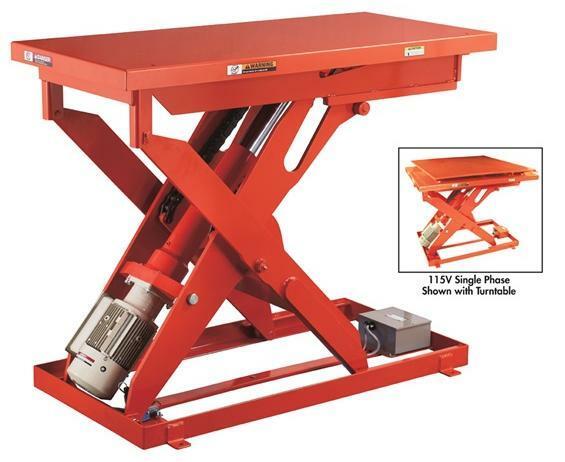 The MLI Series is a low cost equivalent to the hydraulic lift. Available in three voltages - 115V single-phase, 220V three-phase, and 460V three-phase. Has a minimum/maximum limit switch. FOB Shipping Point.